Hannah Montana 2/Meet Miley Cyrus is the second soundtrack from the Disney Channel original series Hannah Montana and the debut solo album by Miley Cyrus, the star of the television series. The album was released on June 26, 2007 by Walt Disney Records and Hollywood Records. It is a new "hybrid" album, that is the follow up to the triple-platinum selling Hannah Montana released in 2006. The CD has two parts, as it serves a dual purpose: disc one features ten songs by the character of Hannah Montana as the show's 2nd season's soundtrack, while disc two features ten songs by Miley Cyrus as her debut solo album. During its first week of sales, it debuted in the U.S. at number one on the Billboard 200 with 326,000 album copies sold. The album, having sold 3,200,000+ copies in the U.S, has been RIAA-certified 3× multi platinum. The album has also sold over 4 million copies worldwide. Once again, Cyrus recorded a remake version of a classic Disney song "Part of Your World" for DisneyMania fifth edition. 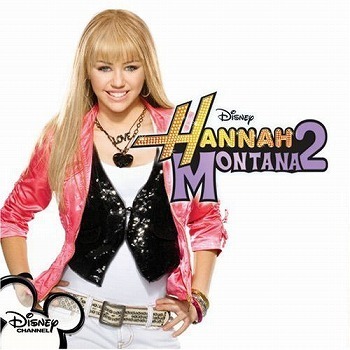 On June 26, 2007, Cyrus released a double album, Hannah Montana 2: Meet Miley Cyrus. The first disc served as the second Hannah Montana soundtrack, while the second disc was Cyrus' debut solo album as herself. The album debuted at #1 on the Billboard 200 and sold 326,000 copies, selling faster in its first week than the previous soundtrack. On the strength of holiday season sales, the album returned and remained in the top 10 of the Billboard 200 in December on the strength of holiday season sales, and sold more than 700,000 copies during that period. The album, having sold more than 3 million copies in the U.S was certified three times Platinum by RIAA. The album had five of its songs debut on the Billboard Hot 100, "See You Again" peaked at #10, which also become Cyrus' first song to enter the top ten on the Hot 100.